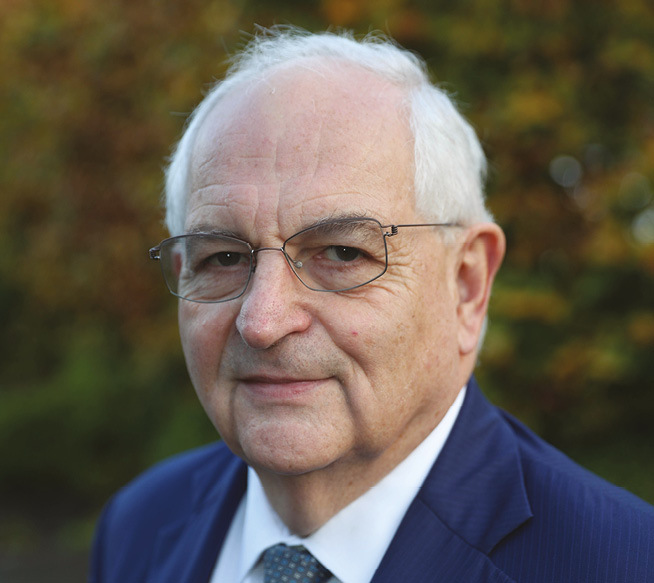 Martin Wolf, Associate Editor and Chief Economics Commentator of the Financial Times looks at what lies ahead for the UK economy in the face of Brexit. Outlining his views from the outset at the Northern Ireland Economic Conference 2017, Martin Wolf is unrepentant when he blithely describes Brexit as a “catastrophic, strategic and economic mistake”. A firm basis for his belief lies in the current status of the UK economy. Wolf highlights the UK’s mediocre performance in real GDP per head compared to other advanced economies. Appearing somewhere in the middle between high-performing Germany and the worst performing Italy, the UK has experienced a “fairly poor but not desperately bad” recovery from the lows of the financial crisis. A positive for the UK economy has been its labour market performance, recording an unemployment fall close to that of the US and doing significantly better in terms of employment ratios, something Wolf describes as “remarkable”. However, it is in the area of productivity where Wolf flags major concerns. In contrast with strong productivity growth between 1990 and 2007, when the UK’ productivity growth was the strongest of the G7, productivity rates have stalled, rendering growth rates from for the last decade as virtually zero. Wolf says: “We have by far and away the sharpest deterioration of productivity performance in the G7. Our economies are not that different from the other G7 economies and none of them show the collapse we have. Other concerns also exist, the UK’s long-term slide in its current account requires a continuing strong net inflow of foreign capital. The uncertainty around Brexit is challenging the UK’s ability to be attractive to foreign capital and this has been a catalyst for the marking down of sterling. This marking down has meant that the real exchange rate is currently at a 30 to 40 year low. Wolf explains that while the marking down of sterling is advantageous to boost competitiveness it also means an erosion of real wages and disposable income, which have been essentially static over the past decade. Marking down sterling, Wolf explains, is an almost instantaneous way of making the citizens poorer but without having to reduce GDP. By doing this, instead of some sections of society being made poorer through unemployment if GDP were to collapse, the downgrade is felt by all. However, with this method comes risk. Wolf says: “The Bank of England (BoE) is betting on real wage reduction causing the inflation rate to fall back towards target. However, if that turns out to be wrong then BoE is going to have to start tightening monetary policy quite fast and then we will be in serious stagflation territory. “It is a total nightmare if the inflation rise gets passed through to nominal wages because the labour market is tight. We’d start seeing the beginning of a wage price spiral, which is much more dangerous with no productivity growth and the BoE starts tightening quite sharply because it sees no other way of getting inflation back to 2 per cent. That means, to put it bluntly, they are going to be trying to put us into a recession. Turning to the progress of the UK securing an exit deal from the EU, Wolf highlights out some of the main obstacles to reaching a deal. Firstly, he emphasises that Article 50 was never designed to be a mechanism that would benefit the leaving country, instead its format is designed to act as a deterrent. This is coupled with what Wolf describes as “staggering incompetence” on behalf of the British Government in triggering the article before establishing an agreed negotiating position. The second is the time constraint of a deal being reached in less than a year, with the context that the UK has next to no experience in negotiating pre-trade agreements, and the third is that “the EU is behaving exactly as anyone who follows the patterns of their trade negotiations would have expected”. Summarising possible outcomes, Wolf believes that the two most likely are a no deal scenario or a deal that sees transition, including initial membership of the customs union and single market but with decreasing integration in the longer-term. In the event of no deal, he stipulates that it is important to reflect that what WTO terms mean requires further clarification. The EU, as one of the two most powerful members of the WTO has the ability to make the UK terms very difficult. Another important note is the influence of smaller EU countries. The countries that have small trade relationships with the UK tend to have a larger interest in the UK’s treatment of their citizens and are often suppliers of immigrants to the UK. Comments and policies in the lead up to Brexit are likely to be taken into account during negotiations. The notable economic impact of any of the potential outcomes, Wolf notes, is a fall in net immigration, which has already been recognised. Another is a short to medium term de-globalisation, reducing the trade-doubling openness the EU offered to the UK. This is likely to reduce productivity further.